Republicans clamored for House Intelligence Committee Chairman Adam Schiff’s head Monday, demanding he give up his gavel or resign from Congress as part of their campaign of revenge against Democrats who pursued and promoted allegations of collusion between President Donald Trump and the Russian government. Trump and senior White House aides, House Minority Leader Kevin McCarthy (R-Calif.) and other allies of the president on Capitol Hill raced to paint the California Democrat as an overeager disciple of a theory debunked by the Justice Department in a summary of special counsel Robert Mueller’s findings released Sunday. Schiff was pummeled repeatedly on Fox News and other right-leaning media during the last two days. Trump himself picked up on the anti-Schiff tirade, retweeting a “Fox and Friends” interview where the California Democrat was excoriated. 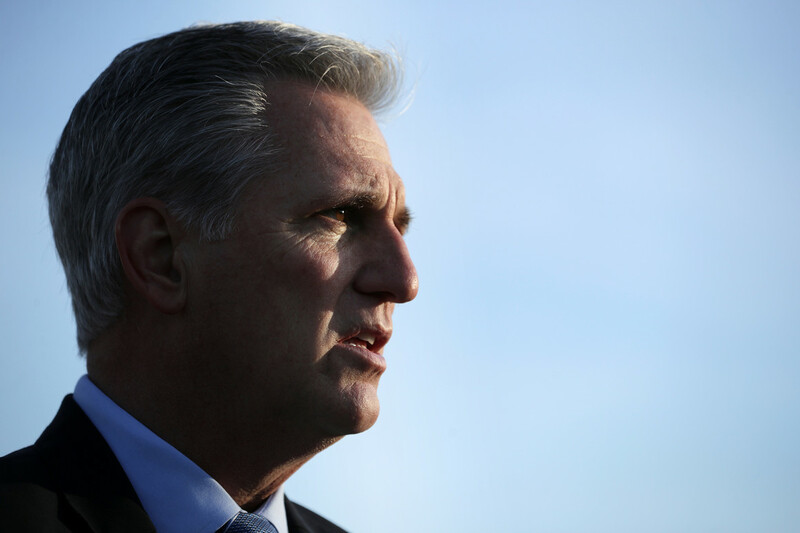 McCarthy called on Schiff to step down as Intelligence Committee chairman during an interview on Monday. The GOP offensive comes as Schiff is forging ahead with a renewed congressional investigation of the Trump campaign’s contacts with Russia. His committee is slated to publicly interview on Wednesday Trump associate Felix Sater about his efforts to strike a deal for a Trump Tower Moscow during the 2016 campaign. On Thursday, the committee has a second Russia-focused hearing on how the Kremlin used oligarchs and their money to influence U.S. politics in 2016. Democrats are privately raising concerns that Americans won’t have the stomach for a new, heavily politicized Trump-Russia probe, and Republicans are seizing the momentum from the Mueller findings to lash out at Schiff. Top Trump adviser Kellyanne Conway called for Schiff to resign immediately. And Donald Trump Jr. — who bristled over Schiff’s question’s after a closed-door interview with the House Intelligence Committee in 2017 — tormented him on Twitter. Speaker Nancy Pelosi defended Schiff on Monday, saying the reason he’s being attacked is because he’s been effective. “Democrats aren’t going to be intimidated by the White House or Congressional Republicans, we’re not going to be distracted from securing the release of the full Mueller report and the underlying evidence, and we will continue to pursue legitimate oversight because that’s what the Constitution requires,” said Pelosi spokeswoman Ashley Etienne. Schiff didn’t immediately respond for comment. When asked about the GOP attacks, other House Democrats defended Schiff. Schiff’s Republican colleagues, however, bludgeoned the California Democrat, describing him as one of the most eager and aggressive Democrats contending that evidence of a Trump-Russia conspiracy existed. Schiff famously indicated in 2017 that he had seen “more than circumstantial evidence” of collusion, and Republicans have been daring him since to back up the claim. Schiff said Sunday he accepted Mueller’s finding but wanted to see the underlying evidence that led to the conclusion. Rep. Andre Carson (D-Ind. ), a member of the Intelligence Committee, strongly rejected GOP demands for Schiff to step down from his post. Freshman Democratic Rep. Katie Hill, a member of California’s congressional delegation with Schiff, defended him as well. “We’ve seen really disturbing activities that have happened over the past two years so I don’t think there’s any indication to me that Adam Schiff or any of my other colleagues have said something that’s out of line,” she said.